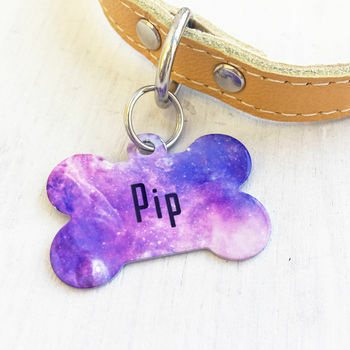 Dress up your dogs collar with our cute personalised Universe bone shaped pet ID name tags. They'll be the talk of the park! We've jazzed up the traditional bone shaped pet ID tag with a stylish twist, available in a variety of stunning Universe backgrounds, this pet name tag will have all the toungues wagging. This light weight aluminium tag is printed on both sides, the front can feature your dogs name, or if you prefer "Chipped' or 'My home is' it's entirely up to you.The back is perfect for your contact details, so if they should ever become lost you can quickly be reunited with your pet. We recommend your surname, house number and postcode as well as a phone number. The style of these tags does not allow for too much text so best to add just the essential information. 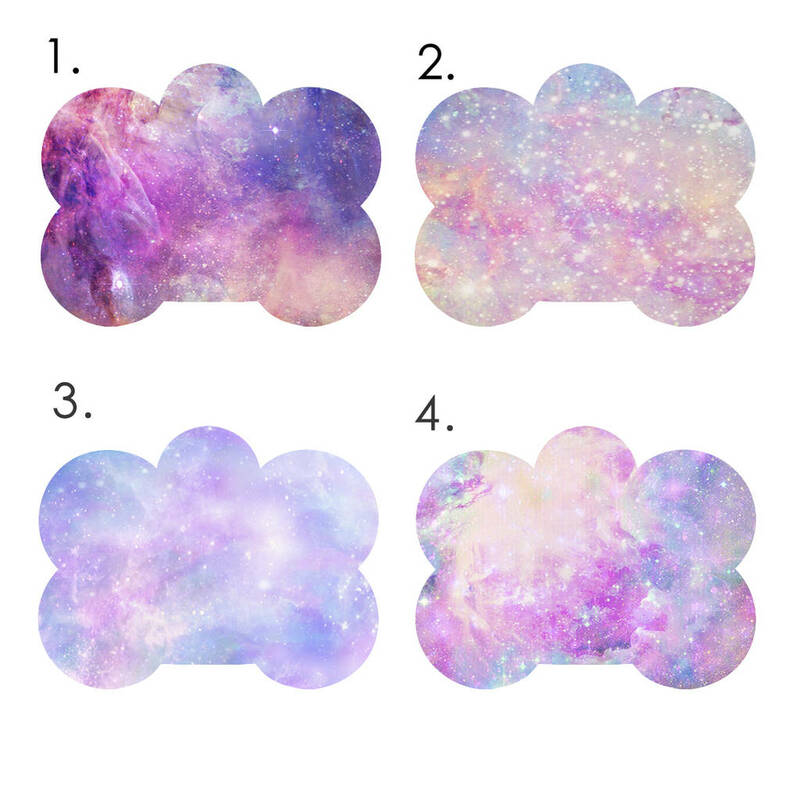 Our Bone shaped tags are available in three different watercolour designs. These designs are Blue, Rainbow and Pink. 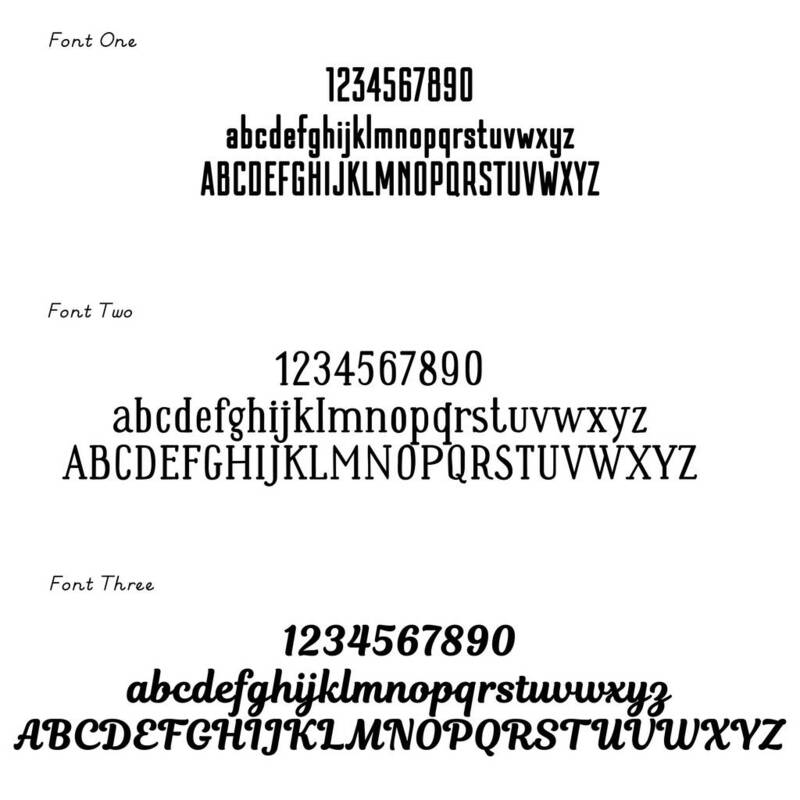 They also come in three different sizes and there are three different font styles to choose from. **Important Information**Please note that in the UK, it is a legal requirement for your dog's pet tag to include the surname and address (specifically the door number and postcode) of the owner. It is recommended that the dog's name is not included on the tag, but if the dog is chipped, this could be put on the front of the tag instead. Light weight aluminium, just 1mm thick. The tags are double sided with a name or slogan on the front and your contact info on the reverse. This product is dispatched to you by Hoobynoo.